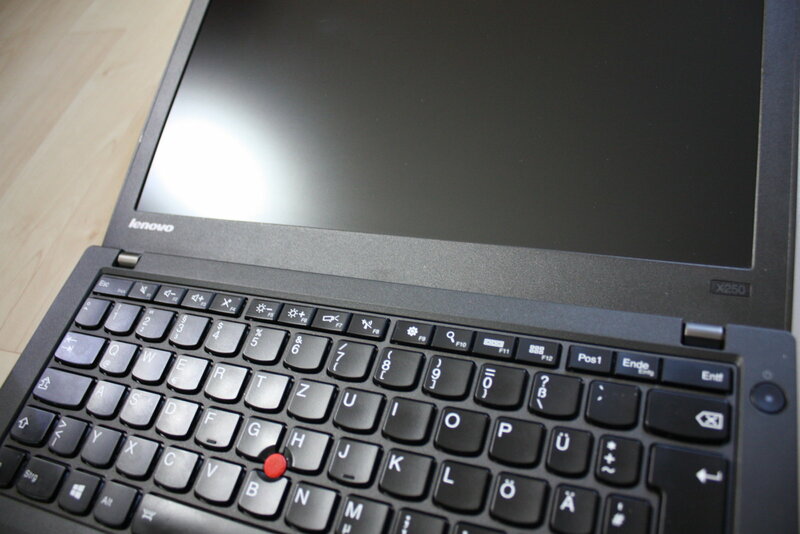 This thread shows you an apparently yet unresolved problem of Thinkpad business laptops. 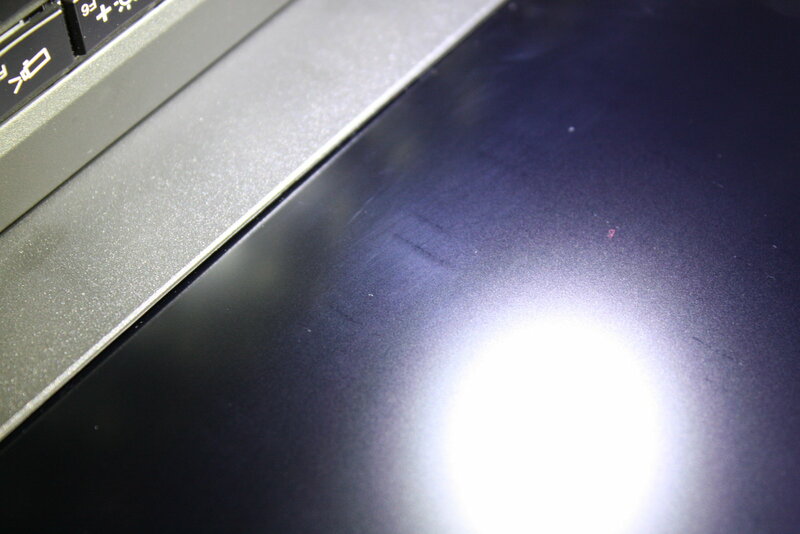 Over the years I have seen lots of IBM (T23, T42, T43) as well as Lenovo Thinkpads (X220, X220T, X230, X230T, X240) where the keyboard/keyboard bezel caused imprints and scratches on the screen. This - in my opinion clearly a failure of the product designers behind it - is particularly annoying considering the fact that these laptops are not at all cheap. 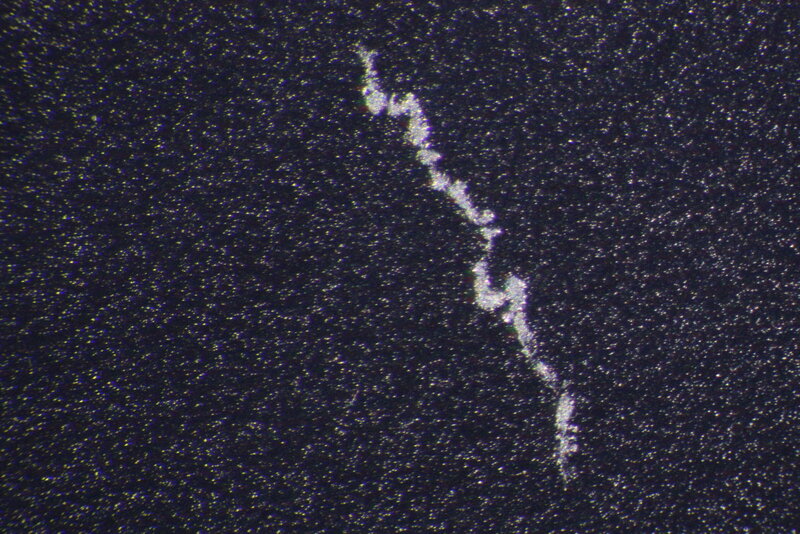 In this case, I found the problem in an early-2015 X250 subnotebook after not even six weeks of normal (!) mobile usage...it has even been transported in a clean polstered notebook bag when not in use btw. 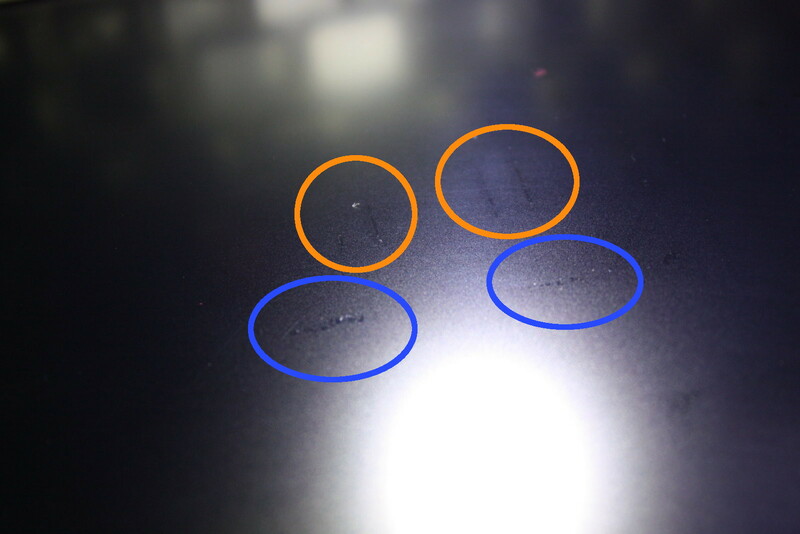 Hard to take good photographs here, but I think you can see the marks from the keys (orange) and the Trackpoint buttons (blue). Above from a slightly different perspective. 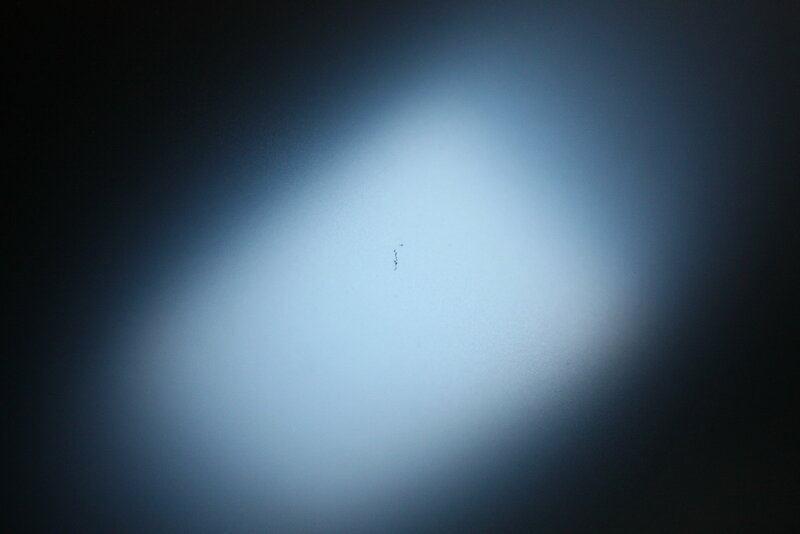 To see how the LCD abrasive affects the screen surface, I took some micro-photographs. 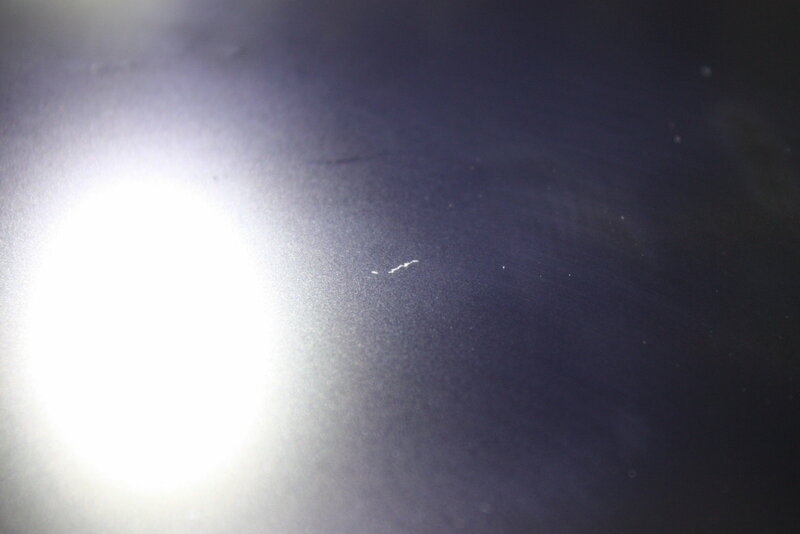 As you can see in the picture below, the non-glare/matte IPS panel has a fine-textured surface which looks like a starry sky at night when intact. 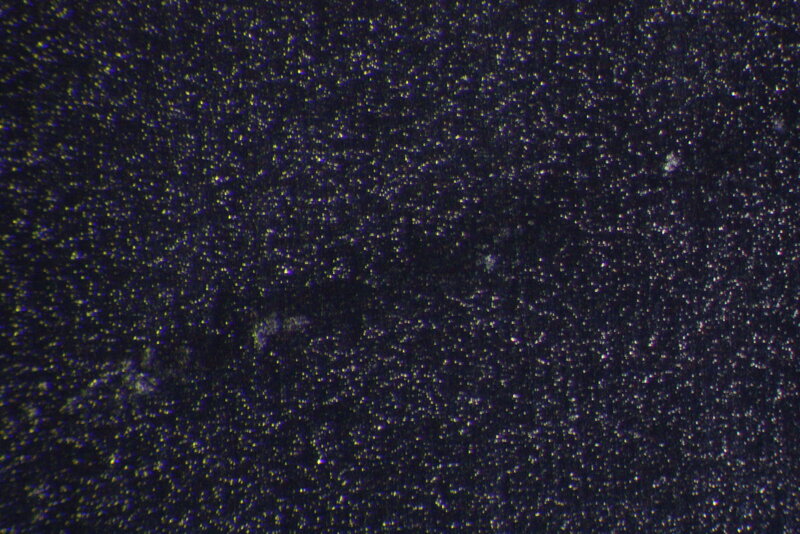 On the spots in the center, where the Trackpoint buttons did their polishing, this star pattern is missing completely causing the spots to become shiny.